The Wiegands: are you a follower? *This post is for people who read their favorite blogs daily via facebook, twitter, other people's "blog rolls" or maybe just look them up daily but aren't actually following. If you have a favorite blog and want to let the author and readers know that you are a fan... you can do that by "following" their blog. I think it is a nice way to say we "support" you and what you have to say! You do not need to have a blog to follow one. So following isn't just for bloggers, it's also designed to make it easier for readers to keep tabs on their favorite blogs. Also, you can choose to follow publicly or privately. 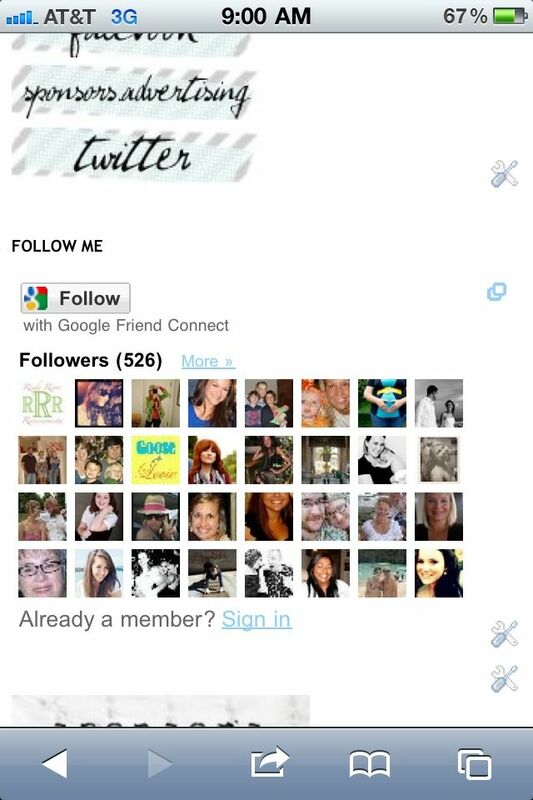 So select how you'd like to follow the blog, then click the "Follow this blog" button. It is that simple, you are now a follower of the blog! If you elected to follow the blog publicly, your profile picture will be displayed on the blog with a link to your Blogger profile. That's it :). Just a little fyi ! If you have a number of blogs you enjoy, go follow them...it will mean a lot to those writing them, a good way to send support their way. Also, if you follow a blog that you think others would benefit from, you should post about it...share the love. Even if you don't know the author personally, and possibly have never even commented on their blog before....you never know who you will be blessing/ helping! By the way... LOVING the music you have playing on your blog! thanks for this, casey. i've had a hard time understanding lately why other bloggers are seemingly stingy about clicking that little 'follow' button. seriously, what's up with that?! very frustrating for me!! i follow your lovely bloggity blog!!! I LOVE this! :-) Totally linking this on my blog to explain! That was a great post! Loved it! CHECK THIS BLOG OUT! LOVE THIS LITTLE FAMILY! Thanks for posting this I am definitely going to give it a shout out on my blog, cause a lot people tell me they don't know how to follow! Great explanation for sure:) And I loved Josie's comment above. So cute. great little explanation! I may have to post a link to this! love!! Going to have to post this on my blog. Great job explaining, Girlie! Thanks! I LOVE THIS! You are perfect. I am sharing it with EVERYONE! AHHH! 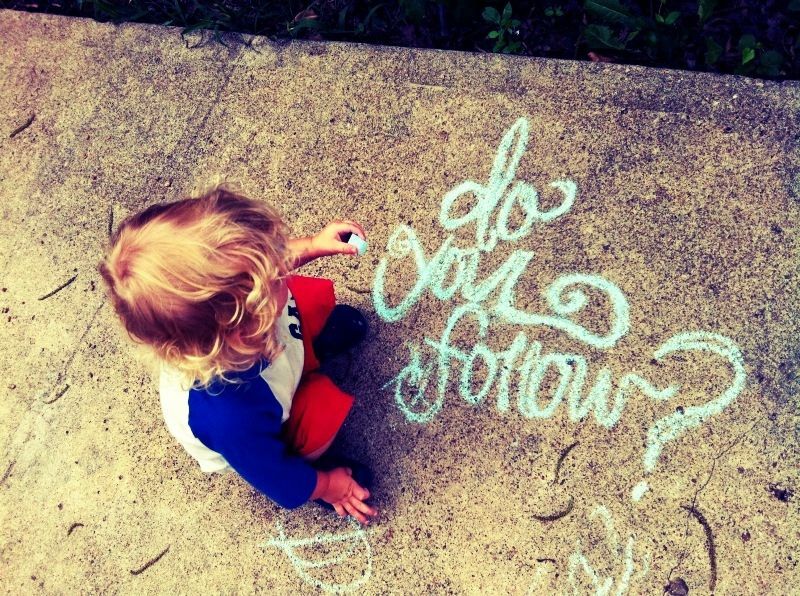 Also, LOVE the chalk pic with Aiden. I totally did chalk with the girls yesterday. Let's have a chalk date. GREAT post! As a fellow blogger, I love to feel the love of followers joining my "support" group. It's the best thing ever. GREAT post! As a fellow blogger, I love feeling the love of someone following me and joining my "support" group. haha I love it Casey! you said that so nicely... I call the people who read my blog and don't follow it "lurkers." That's mean huh? Preach it sista! Highest form of flattery... when people follow your blog :-) Hope you are having a blessed week! I follow your blog sweet friend. thanks for always being real and posting such encouraging things!! It's a sweet post to remind people that we actually like receiving comments and followers. It just gives that extra little boost when you see you have a new follower. This is so great! And so true. I feel like its a weird competition..but it should not be like that at ALL. I found your blog via Sweet Home California..and I love it..so I will follow!! Im so glad you reposted this! I was JUST talking about this with a friend a half hour ago! I agree with what you said that it is a great way to support one another!! I know I feel so much love when I see that people actually do follow my blog and enjoy what I write. I feel like I open up quite a bit on my blog and it can be scary. So when I see that people choose to follow me I feel so much love from them and it helps me be confident in my writing. Thanks for sharing this with others!! Thanks for posting. I'm a new blogger and have lots to learn. I hop you don't mind that I am linking to this post on my blog, in am attempt to get more of my readers to officially follow.